There is convincing evidence that millions of Americans are not prepared for, or even aware of, what is needed for a successful retirement. Baby boomers in particular are approaching this time in their life much differently than previous generations. Issues such as increased longevity, health care costs, solvency of the Social Security system, inflation and uncertain long-term care costs make assessing future retirement needs more challenging than ever before. Without dramatic changes in behavior, a large percentage of 78 million baby boomers and those who follow them will not be able to retire in the same way as their predecessors and many may ultimately need to rely on federal, state and local governmental assistance programs to help them make ends meet. At the same time, due to increasing costs and the economic climate over the past decade, state and local governments (public sector employers) are now struggling to meet their current and future pension obligations in the same way the private sector has been experiencing for years. According to a March 2012 report by the National Conference of State Legislatures, from 2009 through 2011, 43 states enacted major changes in state retirement plans to address long-term funding issues.1 These changes were designed to reduce pension fund obligations by increasing employee contributions or age and service requirements for retirement, or both, and adjusting benefit provisions in various other ways to reduce costs. Although many states have been unwilling to abandon the traditional defined benefit plan structure, several states now have private sector-like optional defined contribution plans or hybrid plans with a defined benefit and defined contribution component. As millions more state and local government employees (public sector employees) begin to share the retirement savings and investment risks with their employers, it’s time to learn from the early failures and eventual successes of the private sector plan model. This abstract version of the full white paper summarizes the implications of current retirement plan and planning trends for state and local government employees and suggests ways to positively change behavior. What Does it Mean to Be Retirement Ready? As more is learned about retirement planning, it is becoming increasingly apparent that retirement readiness needs to be about more than just money and accumulating assets.2 The problem is that most retirement readiness definitions and measurements (as well as most research) has only focused on the financial side of the retirement equation. Without knowing what it will take to be happy in retirement (desired lifestyle) and the health that may be expected (good or bad), determining retirement readiness based solely on personal finances is non-holistic. In 2003, the U. S. Office of Personnel Management (OPM), which oversees all federal personnel and human resources functions for government agencies, informed Congress that they needed a more comprehensive retirement education program but lacked the expertise and resources to develop one internally. The genesis for the need of such a program goes back even further to 1986 when the federal government started the Thrift Saving Plan (TSP) for 3.5 million federal government employees. Congress soon recognized that most plan participants were unprepared to make many of the important retirement decisions needed to address their new retirement risks. They mandated by way of federal law that every federal agency must have a trained “retirement counselor” to provide each employee with such help as required to make informed retirement decisions. Congress awarded grants totaling $1 million to the International Foundation for Retirement Education (InFRE) to develop a Retirement Readiness Program (RRP) for federal government workers. InFRE was selected because of its non-profit status, experience in conducting credible research, and understanding of the public sector retirement planning issues via a partnership with the National Association of Government Defined Contribution Administrators (NAGDCA) and National Pension Education Association (NPEA). Recognizing that retirement readiness is based on both knowledge and actions, the emphasis of this project was to create a program to raise awareness and understanding about what is needed to be ready for retirement and a method to evaluate the steps that employees are taking to plan for this life phase. This project focused on the Federal workforce to develop a prototype RRP that could be expanded in the future to address the non-federal public and private sector employee populations. The project included applied research using three surveys of over 100,000 employees in the federal government, local governments and the general population, in addition to multiple focus groups of retired employees. Findings from these surveys and other research led a panel of experts to conclude and recognize that retirement planning needs to encompass more than just planning for a retirement savings or income target to be successful. Wealth/Financial Security: Are workers adequately planning to support the lifestyle they want throughout retirement? Have they established realistic income goals for their future and considered potential risks to their income that can negatively affect their retirement years? Do they understand how much of their income is guaranteed to be there for their lifetime, and can they really afford to retire as soon as they want? Healthy Living: Do workers recognize and understand their potential personal longevity and that of their spouse? Are they maintaining good health habits in order to remain active in retirement? Have they considered their personal health situation in relation to their retirement lifespan and the number of years their money will likely need to last? Happiness & Engagement: What are workers’ life plans for retirement; what are they retiring “to?” What type of activities are they planning for? Will they work or volunteer? Do they have a network of friends outside of work? Should they relocate, or stay where they are? If married, does the spouse or partner have the same retirement goals and dreams? Early career:at least 25 years before retirement. At this point, most of retirement planning should be focused on understanding and managing income while accumulating wealth. Mid career:between 10 and 24 years from retirement. By this time, additional attention needs to focus on maintaining overall health while continuing an emphasis on financial preparation. Late career:less than 10 years from retirement. At this point, more attention should be paid on preparations for total retirement well-being that includes understanding and planning for an engaged and fulfilled retirement. The individual survey results were then used to develop a retirement readiness profile to be used by Federal agencies in two ways. Second, it can also be used by individual employees to create their own retirement readiness profile and take necessary steps to strengthen any identified weaknesses. After the conclusion of the OPM project, InFRE also explored how the RRP could be adapted to meet the needs of the non-Federal public workforce. The similarities between the benefits among all public employers – federal, state and local governments – mean that the retirement readiness profile, educational tools and resources could be modified to apply to this entire audience without major changes to the existing program. Although certain features of the retirement readiness questionnaire and educational components may need to be altered to provide a more generic assessment to recognize varying benefit levels, this would not affect the value of this program to accomplish a variety of objectives. How Prepared are State & Local Government Employees for Retirement? Public sector employees have traditionally received attractive retirement, health and disability benefits. These benefits have also been instrumental in motivating workers to remain with their employer for most, if not all, of their working career. While wages for public sector employees have rarely kept up with the private sector, the benefits package has provided an advantage to attract and retain skilled workers. A 2011 study by the Center for Retirement Research under a grant for Great-West Retirement Services 4used datafrom the Health and Retirement Study (HRS), a nationally-rep­resentative longitudinal survey of older Americans. The study evaluated the validity of the perception that state-local workers have more than adequate income in retirement. An analy­sis of state-local workers income replacement rates shows that even households with decades-long employees may fall well short of pre-retirement earnings replacement. The following table5 compares the median income replacement rates for households (versus individuals) for private sector and public sector workers. Although Public sector workers are more retirement ready than private sector workers, the overall replacement rate for workers who spend more than 50% of their career in the public sector is still under 75%. Increasing the age and/or length of tenure required to be eligible for normal retirement. As a result, the guaranteed income that future retirees will receive from their primary retirement benefits will likely provide a much smaller replacement rate of income. In some cases, younger employees have had defined benefit plans entirely replaced with defined contribution plans as their core retirement savings plan option. As such, defined contribution plans will continue to play a greater role in the retirement preparedness for a large percentage of public sector employees. Also in a similar response as private sector employers, public sector employers are beginning to shift the cost of post-retirement health insurance coverage to employees as well. The percentage of state government units offering health care to retirees under age 65 has dropped from 96% in 2005 to 69% in 2011.8 There was a similar decrease for retirees over age 65. Furthermore, state governments who do offer retirement health benefits have shifted more of the cost to employees in the form of higher premiums, copayments and deductibles. As a result, many public sector employees who may have been planning on retiring before age 65, when they become Medicare eligible, may need to delay their plans and budget more of their retirement income to cover health related expenses. Understanding longevity – or the number of years they will have in retirement – is a problem for all workers, public and private sector. The average life expectancy of an individual age 65 is about 19 years or to age 84.9 This means that approximately 50% of people who are 65 today will live beyond the average of age 84. Most experts agree that today’s retirees should plan on having enough income to last until they are well into their nineties. Even though not everyone will get there, the alternative of planning for average life expectancy or a little longer could have severe consequences for the many who live longer. The combination of changing retirement benefits, retirees that are living longer and increases in medical expenses mean that public sector employers are facing a significant challenge to ensure employees recognize that they must take personal responsibility for their retirement readiness. While public sector employers need to continue to use benefit packages as a way to attract and retain skilled workers, they must also find a balance in their communication and educational efforts to inform employees that without personal savings or other income sources, these benefits will likely not be sufficient to meet all of their future retirement income needs. How Can Employers Improve Retirement Readiness for Employees? It would be easy to create an extensive list of what employers can do to improve the retirement readiness of their employees. The following is deemed top priority for voluntary savings programs such as 457 and 403(b) plans. Limit the number of funds. One of the basic considerations in selecting funds is to limit the number so that participants are not overwhelmed by the choices.10 Another method to simplify the structure for participants is to limit the number of plans. Add auto-enrollment. Research has shown that auto enrollment is effective at encouraging employees to save.11 However, Public employees participating in plans with higher employee contributions and defined benefit levels may not feel as much pressure to participate in a supplemental fund. In instances when employers institute a low auto enrollment contribution, admin­istrative fees may need adjusting due to the imbalance of relatively small account balances and relatively inflexible administrative costs.12 As a result of these and other issues, the decision to use auto enrollment should be considered on a plan-by-plan basis. Design tools such as auto enrollment or target date funds may help employees arrive at retirement with sufficient savings, but employees will still need education and guidance on how to integrate defined contribution assets with other lifetime income. The increasing importance of defined contribution plans will result in greater attention to their management including ensuring that board members and staff meet their fiduciary responsibilities. Training on investments. Training on investments is generally recommended for board members and anyone with fiduciary responsibility.20 Although having financial expertise is not a prerequisite for serving on a retirement fund board, building knowledge about investment approaches and options, selecting managers, and overseeing investments are core fiduciary responsibilities. Without proper training, board members cannot question their record keeper or consultant about fees, benchmarks, fund management, etc. Written Investment Policy Statements. One of the most important responsibilities of supplemental and core defined contribution plan fiduciaries is the selection of funds. Board members and staff need to perform strong due diligence in their research, selection, and management of funds and fund managers. Written investment policy statements can greatly assist in that effort by providing guidance and continuity in decision making. Actively Overseeing Investment Options. Once chosen, investments require sustained oversight. To help with this work, hiring an investment performance consultant can be extremely beneficial. In addition to fund performance, fiduciaries need to make sure the fees charged for management are reasonable and transparent. Recommended practice is to bid out services for record keepers and fund managers on some recurring basis. Finally, administrative and investment fees need to be available to employees in a readable and accessible format. The Department of Labor is considering providing guidance on retirement income illustrations. The language and concepts being considered are limited to pension benefit statements of defined contribution plans. Helping employees see how supplemental savings translates into retirement income will help to increase employee awareness of their personal retirement funding risk. Public sector employers have started to adjust their retirement plan benefits offerings and shift more of the risk of saving and investing for retirement to their employees. The combination of changing benefits, retirees that are living longer and increases in medical expenses mean that public sector employers are facing a significant challenge to ensure employees recognize their new retirement readiness responsibilities. Lessons from the same shift within the private sector over the past several decades tell us that, without help, most public sector employees will not able to clearly understand their new personal risks and make informed retirement planning decisions. Therefore, public sector employees retiring in the future will be in jeopardy of not having adequate resources and many may ultimately become somewhat dependent on their former employers in the form of social assistance. While public sector employers need to continue to use benefit packages as a way to attract and retain skilled workers, they must also find a balance in their communications to inform employees that without personal savings or other income sources, these benefits will likely not be sufficient to meet all of their future retirement income needs. Offering personal retirement assessment tools that measure retirement readiness on a holistic basis. This means not only looking at an employee’s wealth and financial needs component, but also their health and happiness preparedness. Expand education programs to address various retirement planning needs (not just investing decisions) related to public plan differences, gender, ethnicity and generation. Encouraging participation in voluntary savings plans by using best practices plan features that simplify decision making, reduce costs and offer outcome-based income projections. Although there is not a one-size-fits-all solution, a commitment to a retirement readiness evaluation program combined with ongoing education programs and enhanced savings plan design features will create a strong foundation for positively impacting needed changes in public sector plan participant behavior. Implement scholarship programs with the ANC Foundation which allow university students to attend retirement industry conferences. Kevin Seibert has more than 30 years of experience in retirement benefits, financial planning, and financial education. He is a leading expert in retirement income planning and co-author of a series of professional education courses on managing retirement income presented to more than 15,000 advisors and retirement counselors since 2004 in live, print, elearning and audio formats. Kevin is recognized as a Certified Financial Planner (CFP®) by the College of Financial Planning, and is a Certified Employee Benefits Specialist (CEBS), and has been awarded the Certified Retirement Counselor (CRC®) certification from InFRE. Kevin earned his MBA in finance from the University of Wisconsin and received his undergraduate degree in finance from Miami University of Ohio. Betty Meredith is the Director of Education & Research for the International Foundation for Retirement Education (InFRE), whose purpose is to increase the retirement readiness of the American worker through professional retirement certification and continuing education, and Managing Member of the Int’l Retirement Resource Center. Betty oversees incorporation of research findings and best practices into InFRE’s retirement certification study and professional continuing education programs in order to help retirement advisors and counselors more effectively meet the retirement preparedness and income management needs of clients and employees. Betty has been involved in client/employee education since 1989 as a retirement education consultant to fulfill the goal of providing practical, easy and application-oriented financial education for the American worker to learn the basics of controlling their money, planning for their future and making informed retirement income planning decisions. She has written four consumer financial and retirement planning self-study workbooks and created over twenty workshops used in the general marketplace and the employer markets. Thousands of employees have used her employee/client education materials in employer and corporate training workshops by prominent financial institutions such as Charles Schwab & Co., Standard & Poor’s, Morgan Stanley Dean Witter, Chase, Nationwide Retirement Solutions, as well as state public sector retirement systems. 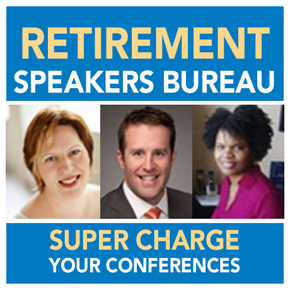 She is also co-author of a professional development guide on retirement income management and related workshops. She also produces a monthly live webinar professional development series for retirement professionals, and writes a regular column on serving the retirement needs of the mid-market in the Journal of Financial Planning. She is the past Chair of the Communication and Education Committee for the Plan Sponsor Council of America (PSCA); served on the Board of Governors for the International Foundation for Retirement Education (InFRE); was an adjunct instructor for the International Foundation for Employee Benefit Plans’ (IFEBP) “Designing Effective Retirement and Financial Education Programs” certificate course; and is a member of the Financial Planning Association (FPA), the Association for Investment Management and Research (AIMR), and the Society of Financial Services Professionals. 1 Sanford, Paula, Ph.D., and Joshua M. Franzei, Ph.D. The Evolving Role of Defined Contribution Plans in the Public Sector. September 2012, p. 5. 2 A recently published book “What Color is Your Parachute for Retirement?” written by John Nelson and Richard N. Bolles, provides an excellent look into total retirement well-being and why it is important to take a much broader approach to retirement planning. 4 Munnell, Aubry, Hurwitz, Quinby, Center for Retirement Reearch, Boston College,”How Prepared are State and Local Workers for Retirement?” State and Local Retirement Plans series, No. 22, October 2011. The research was performed pursuant to a grant from Great-West Retirement Services. 7 Sanford, Paula, Ph.D., and Joshua M. Franzei, Ph.D. The Evolving Role of Defined Contribution Plans in the Public Sector. September 2012, p. 6. 8 Franzel, Joshua, and Alex Brown. Spotlight on Retiree Health Care Benefits for State Employees in 2013. June 4, 2013, p 3. 9 Arias, Elizabeth Ph.D. “United States Life Tables, 2008.” National Vital Statistics Reports. Volume 61, Number 3, p 3. 10 This is the view of the authors of “The Evolving Role of Defined Contribution Plans in the Public Sector” and others may disagree. 11Duflo, Esther and Emmanual Saez. 2002. “Participation and Investment Decisions in a Retirement Plan: the influence of colleagues’ choices.” Journal of Public Economics. 85, pp. 121–148. Additionally, a few of the respondents interviewed said colleague recommendations have had a positively meaningful impact on plan participation. 12 These employees will not receive a COLA in retirement as well. 13 Simon, Herbert A. 1947. Administrative Behavior. New York: Free Press. 14 For example, Lusardi, Annamarie. 2004. “Saving and The Effectiveness of Financial Education.” Pension Design and Structure. Olivia 14Mitchell and Stephen Utkus (eds.) New York: Oxford University Press. pp. 157–184; Mitchell, Olivia and Stephen Utkus. 2004. “Lessons from Behavioral Finance for Retirement Plan Design.” Pension Design and Structure . Olivia Mitchell and Stephen Utkus (eds.) New York: Oxford University Press. pp. 9–41; Beshears, John, James Choi, David Laisbon, Brigitte Madrian. 2010. “Defined Contribution Plans in the Public Sector: Lessons from Behavioral Economics.” NBER State and Local Pensions Conference. Aug. 19–20, 2010. 16 Madrian, Bridgette and Dennis Shea, 2001. “The Power of Suggestion: Inertia in 401(k) Participation and Savings Behavior.” Quarterly Journal of Economics . 57, pp. 573–598. 17 Bernartzi, Shlomo and Richard Thaler. 2002. “How Much is Investor Autonomy Worth?” Journal of Finance 57:4, pp. 1593-1616. Note that research focused on Americans’ investing behavior. 18 Choi, James, David Laibson, Bridgette Madrian, and Andrew Metrick. 2001. “For Better or For Worse: Default Effects and 401(k) Savings Behavior.” NBER Working Paper 8651. Found at www.nber.org/papers/w8651.